I recently gave a talk at the 2013 Massachusetts STEM Summit, held at the Foxboro MA Patriots stadium, focused on STEM and innovation/entrepreneurship. One of the key focuses of the talk was the upcoming Next Generation Science Standards (NGSS), following the US-wide adoption of the Common Core Math and English standards. 26 of the 50 states have agreed to be part in the drafting and adoption of these standards, and more are expected to participate as well. So, in the coming years, science departments across the US will be looking to find new ways to align their curriculum with these new standards, which include more rigorous and deep science content as well as logic processes/methods. 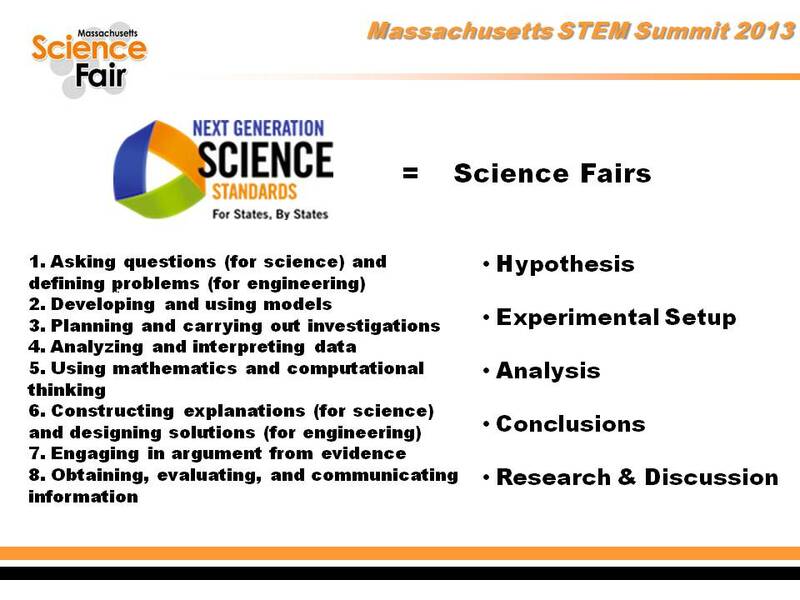 One such method we all know very well in the science fair community is the scientific method. However, the term “scientific method” appears to have been replaced by the term “practices”, which encompass the very same processes promoted widely by science fairs for the past nearly 70 years. However, by incorporating the “practices” more concretely into a national set of science standards, we may soon begin to see science fairs institutionalized in the American educational landscape. Half a century ago, science fairs were ingrained in the US formal school culture, but due to a variety of factors (decreased funding in education across the board, more focus on a smaller subset of frameworks to improve standardized testing scores nationally, fewer school hours and less lab time, etc…) science fairs have become less of a national priority, despite the best efforts of the current administration to highlight the very best STEM students in the US. Looks like for US science teachers and public school students alike, the next few years will be the time to pick up their old science fair curriculum resources and practice, practice, practice! 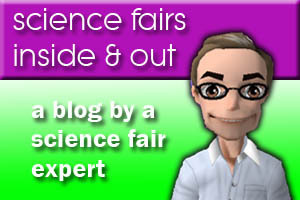 This entry was posted in Highlighted Posts, Science Fairs Inside & Out. Bookmark the permalink.